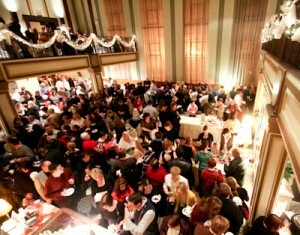 The annual Chocolate Lover’s Soiree is coming to Easton on Satruday, January 28th from 7-10pm. The event, which we covered two years ago, features local and national chocolatiers, bakeries, coffee shops, and breweries showcasing chocolate and chocolate-flavored items. It typically sells out so if you’re looking to get in on the 6th iteration of this festival we suggest you pick your tickets up now. Proceeds from the event go towards the Easton Main Street Initiative. Tickets are only available in advance for $25 and can be purchased over at the Easton Main Street website. There’s no participant list but historically they’ve had Weyerbacher, Dove, Tallarico’s, Granny Schmidt’s, and many other local places there.